CEC Capital, a leading private investment bank in China, announced today that its asset management team has recently held the first closing of Future Industry Fund at RMB 3 billion. The fund’s limited partners include the Hubei Yangtze River Economic Belt Industry Guidance Fund Partnership, Beijing Shougang Fund Co., Ltd., the A-share listed company KPC Pharmaceuticals Inc, and other prominent institutions. 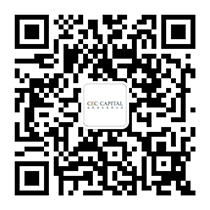 This fund is also the largest among the first RMB-denominated PE funds managed by Chinese boutique investment banks. Based on CEC Capital’s inherent advantages in TMT, consumer and healthcare, this RMB fund will also focus on the three sectors in order to maximize the collaboration between investment banking and investment business. Specifically, the fund will mainly invest in media, entertainment and sports, new consumer goods and services, artificial intelligence and smart hardware, data services and business services, modern logistics, healthcare services, medical instruments, as well as pharmaceutical production and R&D. Prior to this, CEC Capital closed its first US dollar fund that focuses on the healthcare industry at the end of 2014. As of the first quarter of this year, this fund has completed six investment projects and successfully exited from one of them. The raising of the company’s US dollar fund II is expected to start early next year.